Today we have two LOVELY cards created by Gretchen McElveen. 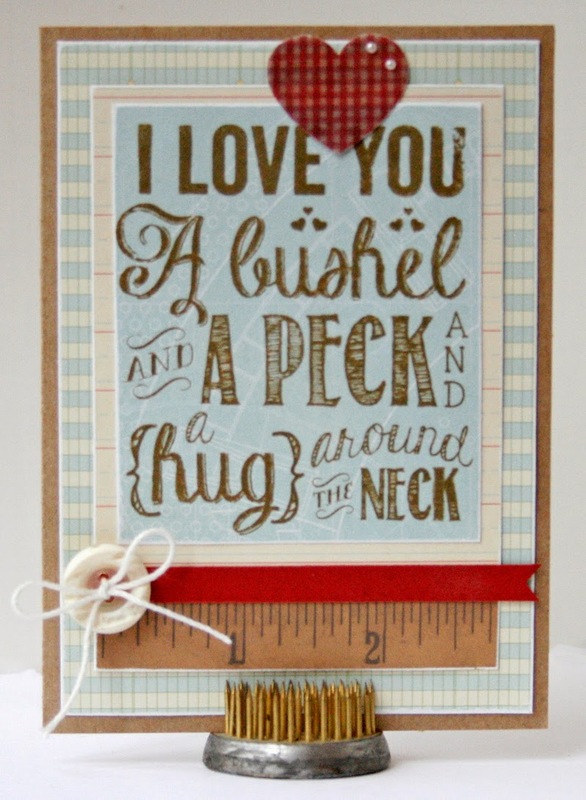 I really like that Hampton RTS stamp of I Love You a Bushel... But I have searched and cannot find it. Can you tell me the name of it so that I can order it? Thank you. The Bushel and A Peck stamp will be shipping to stores around the end of the month. Ask your local store if they have ordered it! I am trying to find the Bushel and A peck stamp set where ever did you find it?